Gae Aulenti Pipistrello Table Lamp pictured in an Italian modernist house. Collection of Pipistrello Lamps viewed from above. Telescopic feature allows adjustable height. 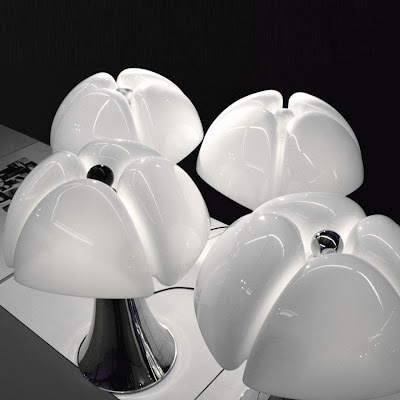 Pipistrello lamp: designed by the multi-talented Italian designer Gae Aulenti in 1966 for Martinelli Luce, Italy. 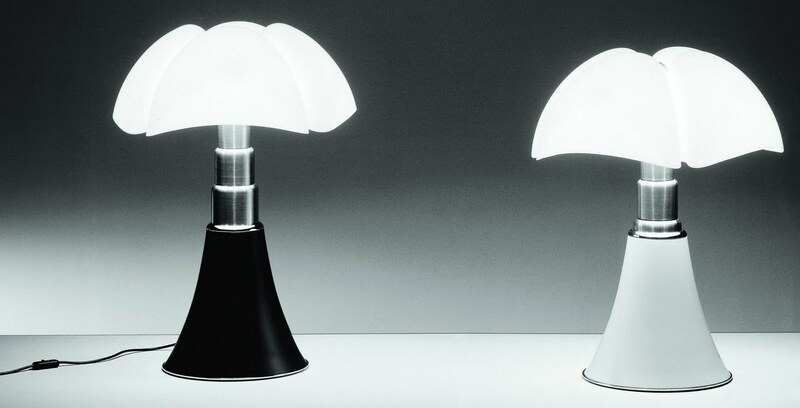 The Pipistrello lamp has become one of the classic icons of 20th Century Design. The height can be adjusted by it's telescopic stem (height can be set anywhere from 26" to 34". The Pipistrello lamp is available with a white- or black base.